It’s Not a Cage Gigi! 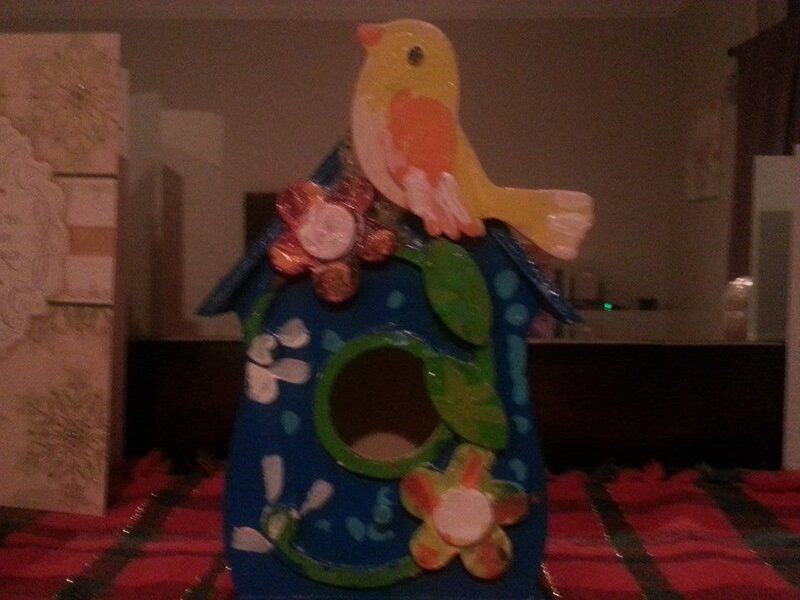 Lilly and Mylah made a beautiful little birdhouse for me. My heart just melted when they gave it to me yesterday. There’s no way the girls, Gina, or Tyler could have know the significance of that sweet little house. Lillyann did most of the painting, but little Mylah helped. When I thanked the girls, I made the mistake of saying, “Thank you for the beautiful bird cage” and was immediately corrected! Lilly said adamantly, “It’s not a cage Gigi!! It’s a house!” I had to smile as I realized my heart was no longer in a cage. Throughout my journey, my heart has gone from one cage to another. No matter how beautiful the cage, it isn’t where a birds or hearts belong. Fear drove me to those cages, but my heart has recently been set free. I feel like that little yellow bird sitting on the roof of her house singing outside of a cage for the first time. It’s appropriate that the little house should be from the girls because they have helped to free my heart. God never ceases to amaze me, and this little and last Christmas gift was not just the icing on the cake; it was all the lessons in love set into one beautiful reminder that hearts, like birds, are meant to be free and made to sing. God’s ways and timing surprise and delight me, and I pray they always do. Thank you, Lillyann and Mylah, for the sweet gift. I plan to keep it and you very near my heart so I don’t wind up in any more cages. Thank you, Gina and Tyler, for sharing your home, your love, and your sweet babies with me. You made this my best Christmas ever. Thank you, God, for making all things work together in a way that will always make me smile as I remember the Christmas my heart was set free. Next Next post: What a Year! !